The familiar name “MPT” actually signifies two entities with a shared mission of public service. 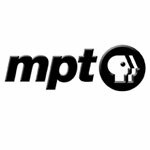 The Maryland Public Broadcasting Commission is a state agency that holds MPT’s broadcast licenses. The MPT Foundation encourages and receives donations on behalf of MPT. Established in 1966, the Maryland Public Broadcasting Commission, an 11-member body appointed by the governor, oversees the critical infrastructure towers, transmitters, satellite dishes, the building and equipment necessary for delivery of programming on MPT. The MPT Foundation, formerly known as the Maryland Public Broadcasting Foundation, is a private, nonprofit 501(c)(3) corporation established in 1981 to encourage increased funding for MPT and to receive donations and grants on MPT’s behalf. The Foundation also safeguards MPT’s endowment funds in an effort to insulate MPT from economic hard times.